Some people think that if you are successful, you will be happy. Shawn Achor, in his book The Happiness Advantage, argues that if you are happy, then you will be successful. Shawn makes a compelling case that your brain, when it is positive, performs significantly better than it does when it is negative, neutral or stressed. So if being positive improves your performance, then you should try to be positive at work. 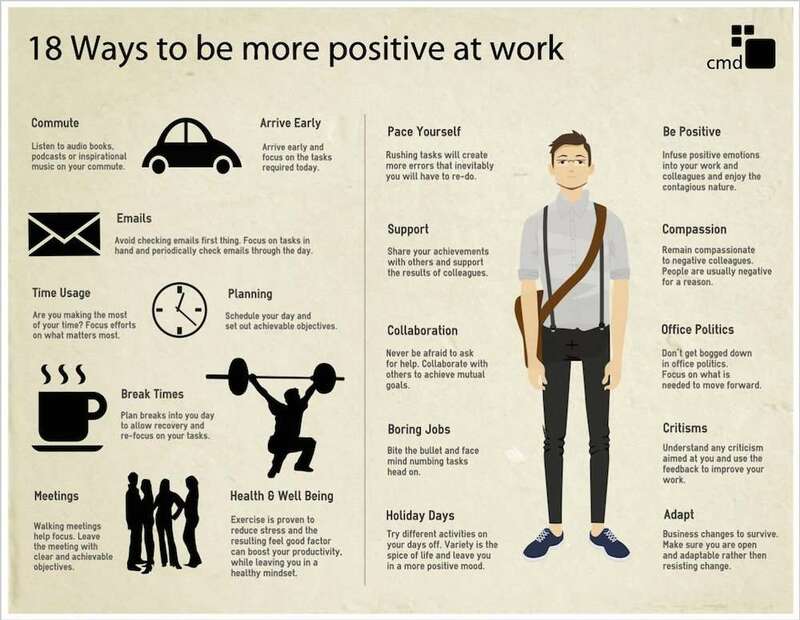 cmd developed the following infographic with 18 ways to be more positive at work, which should lead to more success.